Do we have the finances? Do we have enough room in our home? Does anyone have allergies or other health issues? Can we invest the time and finances to learn how to train ourselves to train the dog? If we rent, do we have the landlord’s permission? What is our lifestyle like? Let’s take a minute to look at each of these questions individually. Time is a very important consideration. If you are bringing in a young puppy, the puppy will demand a lot of time for house training and learning just the basics of being a good household companion. They will have to be taken out more frequently for potty breaks and socialization. 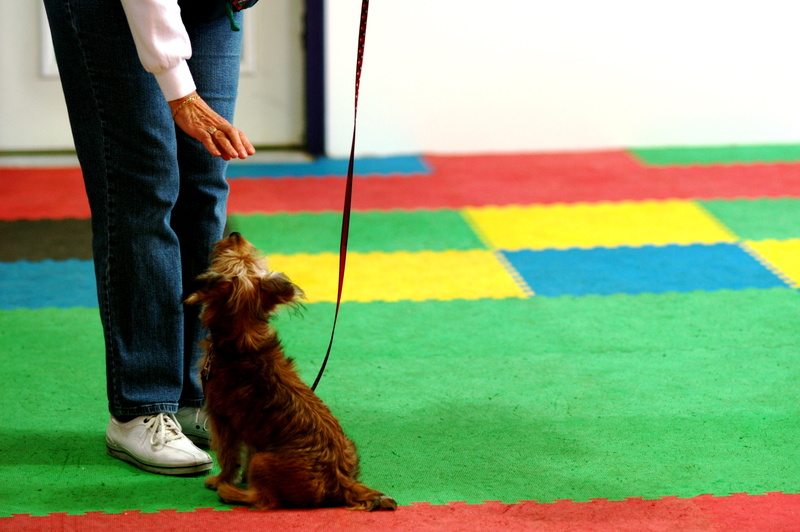 Puppy kindergarten classes take time and commitment away from home, as do any obedience or sport classes such as agility or flyball. All dogs will need exercised, fed and spent time with. Be honest with yourself on how much free time you have available that you can devote to your new puppy or dog. If there are children at home, will their after school activities make it difficult to spend time with the dog? How much time will the dog be left at home by itself? 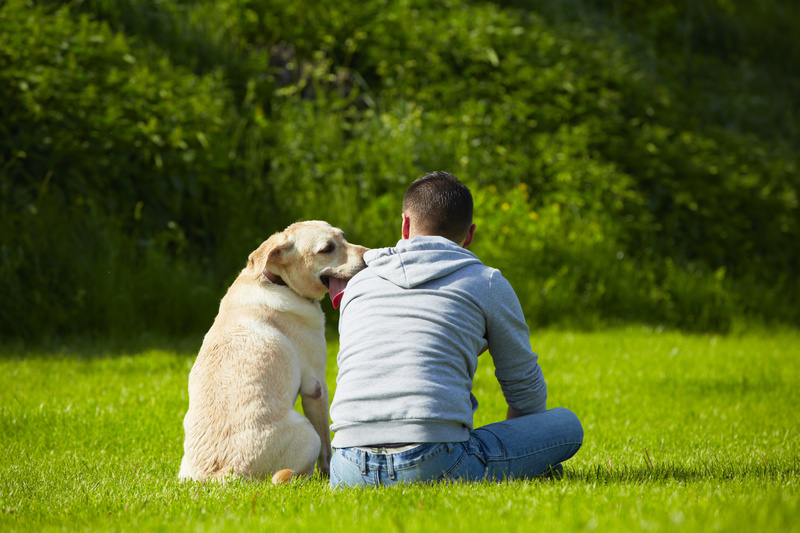 Think about the future too and how it may affect the time that you can spend with your dog. For example, are you graduating from college and moving soon for a new job opportunity? Are you or your spouse in the military with potential of overseas deployment? Is there anything else in the foreseeable future that might make it difficult to own a dog now? The initial price of purchasing a dog is just the beginning of the costs that may be associated with raising a dog. 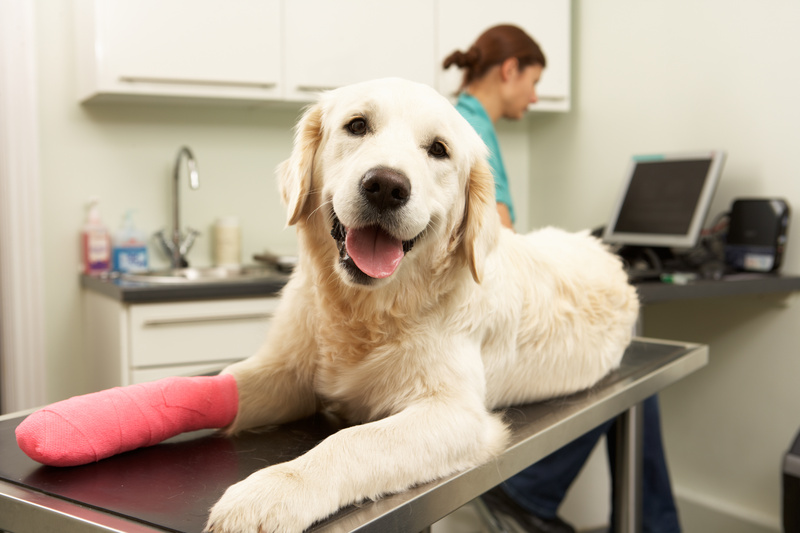 The regular visits to the vet for shots and health checks are not usually too high, but if the dog were injured or were to become sick, those costs can add up quickly. Food costs for small dogs are negligible but a large dog can become expensive, especially if they need special foods due to allergies or other health issues. Training classes can become expensive, as well as the cost of travel if the classes are a distance away. Consider how much space you may have for your dog. A small dog fits well any where, but a larger dog like a Great Dane or a Mastiff doesn’t fit well in small apartments or houses. Is there a place for the dog to be able to have his own private and secluded area if he wants to get away from the bustle of a busy family for awhile? Is there a yard for him to be able to get out and stretch and play? Would an active or large dog have enough room to comfortably run without being limited by the fence? Is the yard securely fenced if you are in the city or suburbs? (That is another cost to consider if there is no secure fence on your property.) Even in rural areas, the dog should be fenced or under your control to prevent him from chasing livestock or wildlife. If anyone in the family has health issues, they should be seriously considered before bringing a dog into the home. Elderly family members may not be comfortable with a rambunctious dog as they may fear that they will get knocked over. If someone is allergic to dogs, but you want to have a dog, visit a dog show and talk to owners of the breeds of dogs that you may be interested in. Make sure the person who has allergies is with you so that you may see how they react to the dog, as long as there is not any potential of a life threatening reaction. If there are any other health issues, make sure that the type and size of dog that you are considering will fit the situation, and that that person is comfortable with the decision. While a dog can provide unmeasurable support and comfort, the wrong dog can make life very difficult. Are you prepared to spend the time and effort it takes to teach yourself how to be a good and understanding owner if you are a novice? What will you do if it just doesn’t seem to be working out due to the dog’s actions? As you have made the commitment to care for that dog for its life, giving up should be the last option. Can you afford to bring in a private, professional dog trainer and are you willing to learn from them and take the time to work with your dog? (This may include veterinary care if the cause of the problem is a health issue with the dog.) If something honestly prevents you from keeping the dog, will you be comfortable with placing him in a new home? Can you return him to the breeder if purchased from a breeder? If you rent, are you allowed a dog? Is there any stipulation as to how many pets you may have or certain size limits? Many condominiums and town homes only allow dogs under a certain size. With the bad publicity for Pit Bulls and Pit Bull type dogs or large dogs, some landlords may not allow those breeds onto their property. Do you plan on remaining where you are living for awhile, or is there one or more moves in your foreseeable future? Dogs do better with stability, so frequent moves are not usually recommended, and there would always be the question of whether or not you can locate another place that will allow your dog. The last consideration to think about is what your lifestyle is like. This is a very important part of the decision of getting a dog. If you or your family are constantly out and about, volunteering for different events, school sports, going to concerts or otherwise not home a lot, then perhaps a cat or fish would suit you better. If on the other hand, you and your family enjoy a lot of outdoor activities such as going for walks to the park, hiking, camping, biking or horse back riding where you can take a dog, then a dog could be a great fit. If you are going to college or planning on attending college, and also have a full time job, now would not be the best time for a dog. If you have a lot of constant company and your lifestyle is crazy, few dogs would be comfortable in that situation. Or if you and your family take frequent vacations or you have to travel a lot for your job, would you be able to take your dog with you, or would he be shipped out to a boarding kennel while you are away? Take the time as a family to seriously consider these questions. And answer them honestly. While the pitter patter of four feet is a wonderful noise in a home, make sure that it is the right choice for you, and the dog, at the right time. 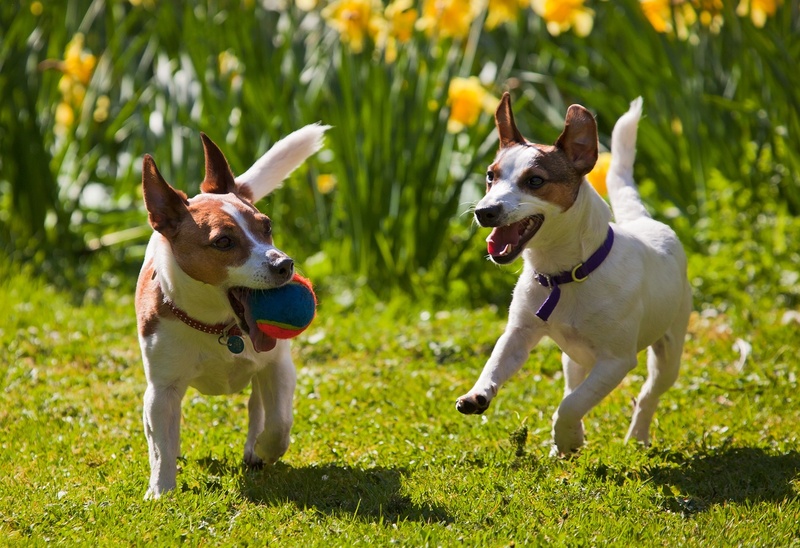 Two Jack Russell terriers playing fetch with a ball, running towards camera on a lawn in spring with daffodils in the background. This entry was posted in Family dogs, FAMILY DOGS and tagged choosing a dog, considerations before getting a dog, family, getting a dog, I want a new dog, should I get a dog?, things to think about before getting a dog, thinking of getting a dog. Bookmark the permalink.